GMVN Tourist Rest House is one of the budget hotels located at the picturesque town of Auli in the state of Uttarakhand. It is semi-deluxe govt hotel that offers the budget tourists and their family a friendly stay at the lowest room rate. Situated on the foothills of Himalayas, GMVM Hotel gives magnificent views of thrilling beauty of snow-covered Himalayan Mountain Peaks. 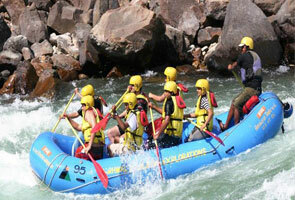 Moreover, there are many sightseeing and adventure activities opportunities available for travelers nearby. 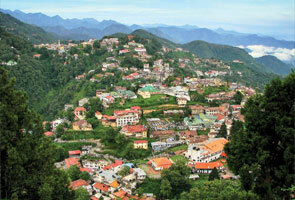 GMVN Tourist Resort is located near ITBP, Auli in Chamoli district of Uttarakhand. It is approx 260 kms far from Jolly Grant airport Dehradun, about 250 kms away from Rishikesh railway hub and 15 kms away from Joshimath bus station. The location of this resort is 15 km away from Market, Shops, Restaurant, and ATM. 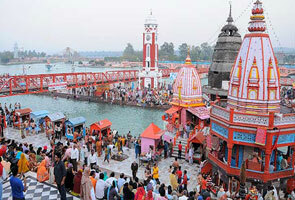 It is 18 kms away from Narshing Mandir, approx 15 kms away from Sankaracharya Tapastali, and 20 kms from Hot Spring Point. The hotel offers a comfy stay in its 12 well designed spacious deluxe rooms. All the rooms are elegantly appointed and well organized with basic amenities needed for a comfortable accommodation.GMVN Auli resort has an in-house restaurant, serving vegetarian and non-vegetarian meals and a bar. The hotel gives reasonable sightseeing packages to the travelers. The hotel offers various admirable amenities including wash room with 24 hot and cold water supply, comfortable beds & chairs, television, Refrigerator, Doctor on call, Parking Facility, recreational activities, 24*7 power backup facility, Room service, Trekking and much more. By Air: Jolly Grant airport is the nearest airport to this resort which is located at the distance of 260 kms. By Train: Rishikesh Railway station is the nearest railway terminal located at the distance of 250 kms. 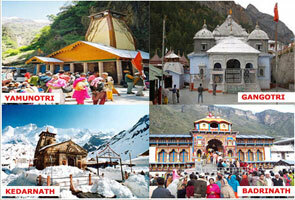 By Bus: Joshimath bus station is just 15 kms away from this place.